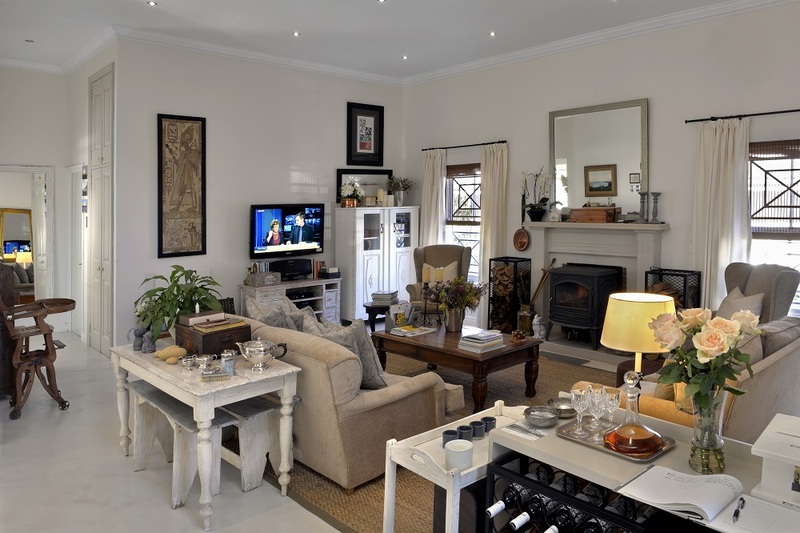 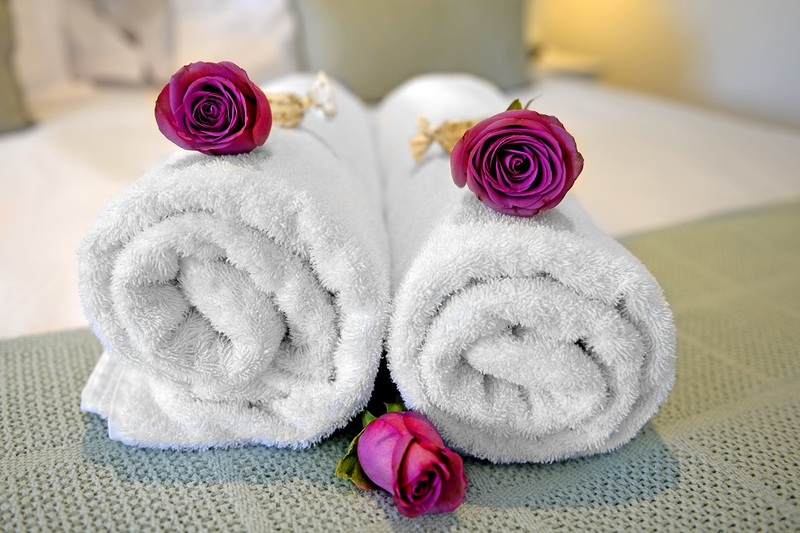 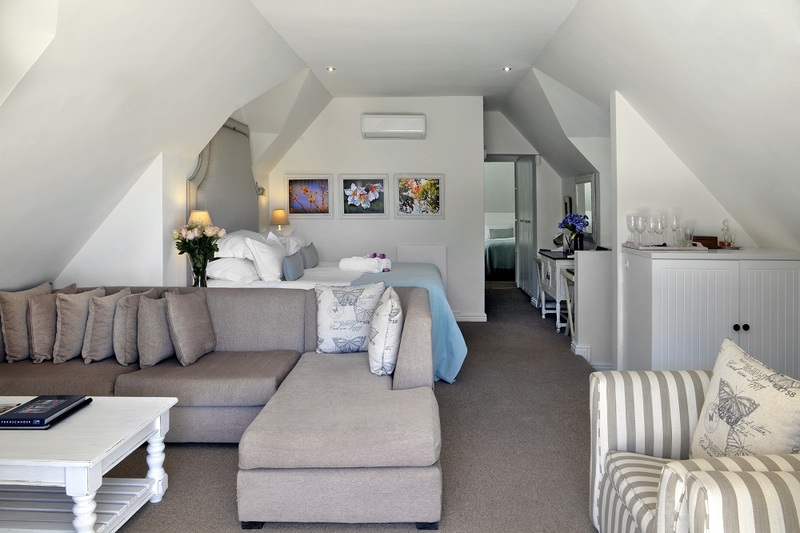 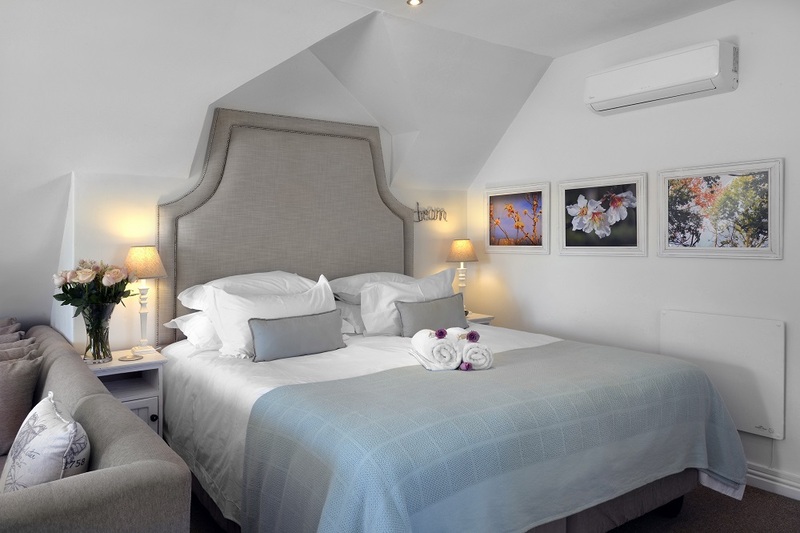 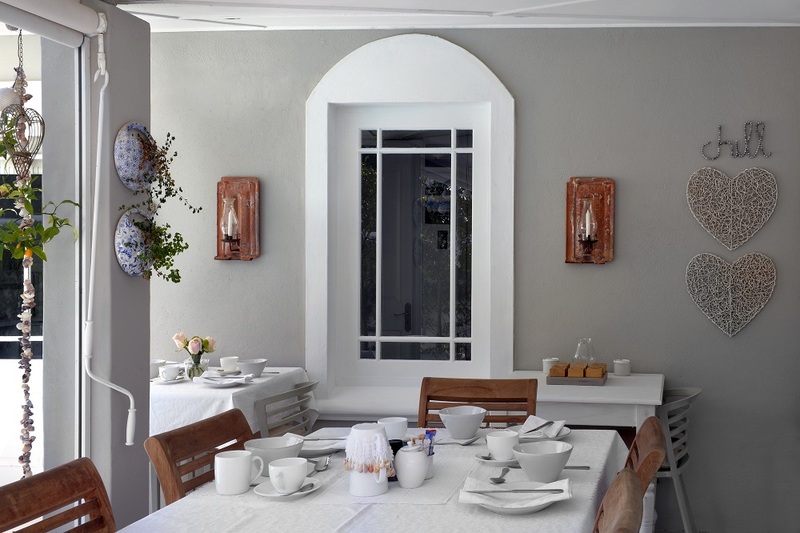 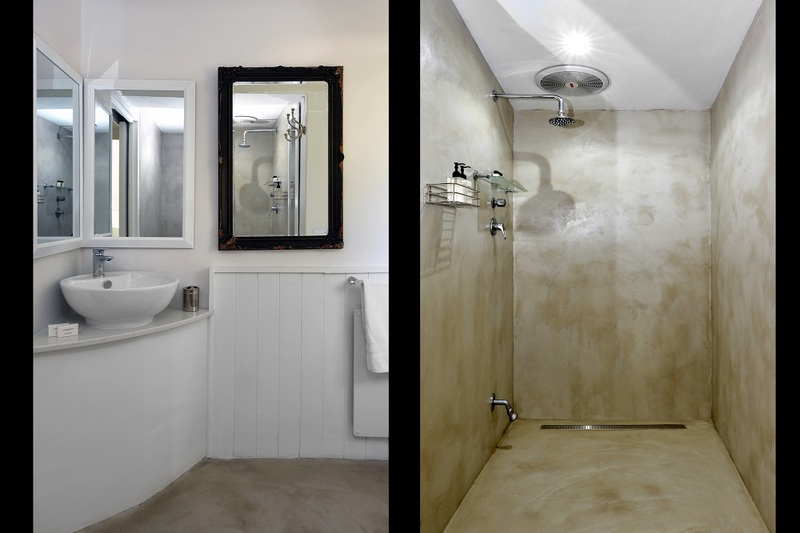 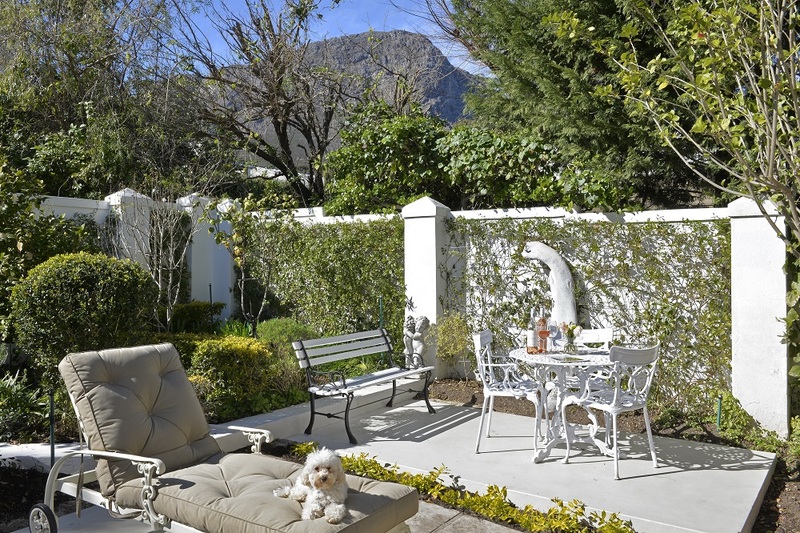 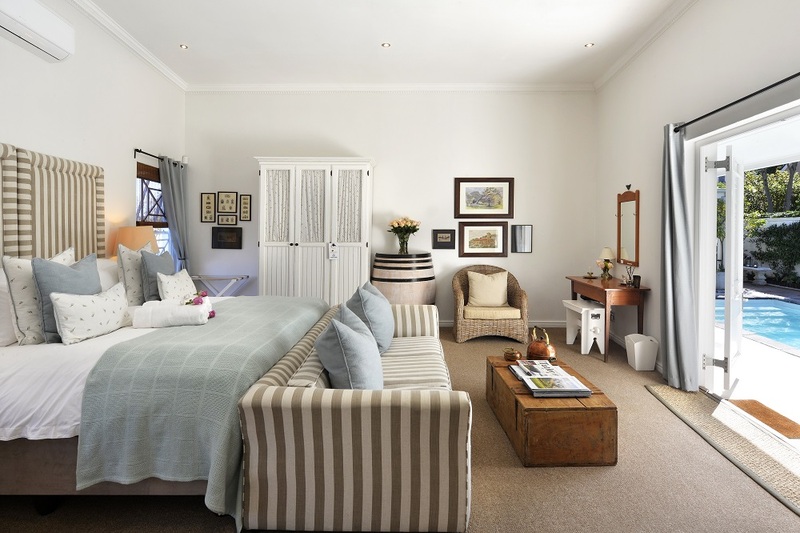 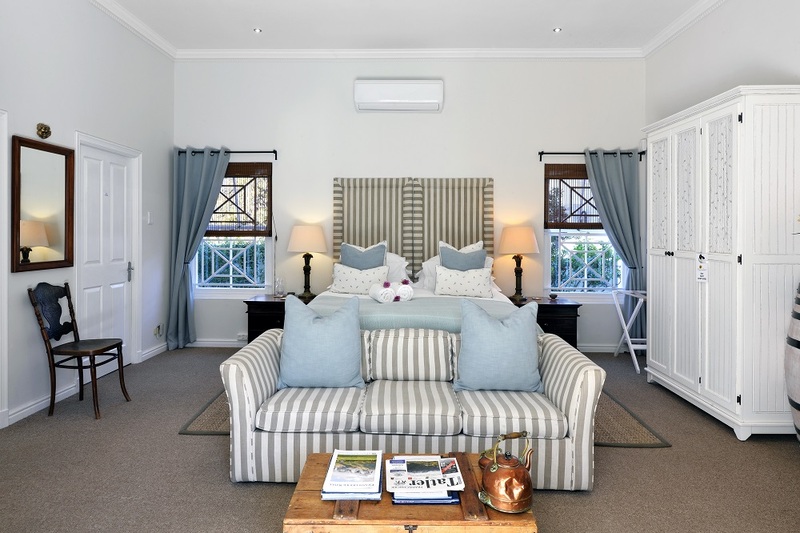 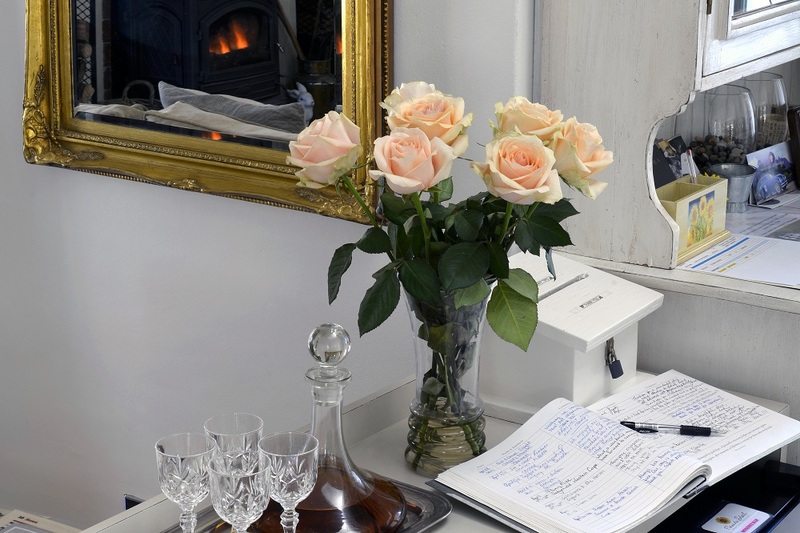 Fleur du Soleil Guesthouse is located in the charming valley of Franschhoek, in the Western Cape. 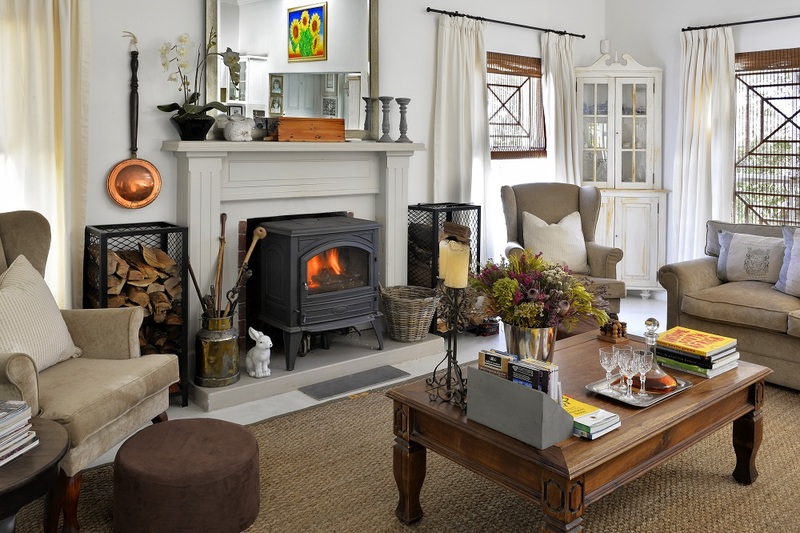 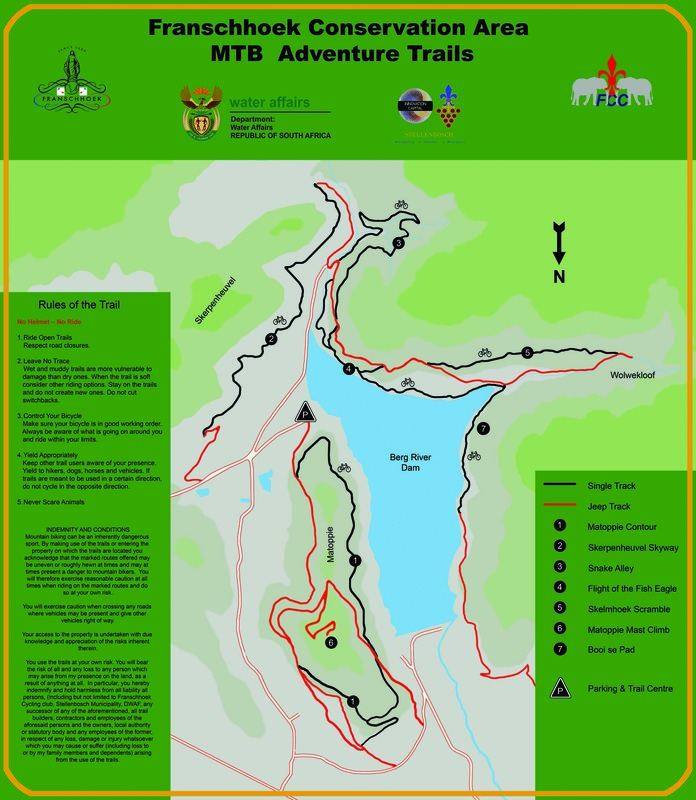 Only a 50 minute drive from Cape Town and within half an hour of Stellenbosch and Paarl. 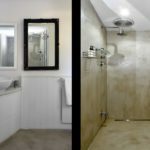 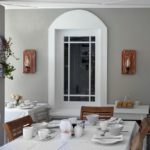 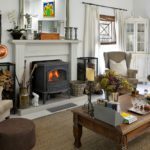 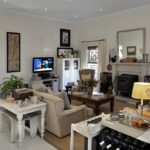 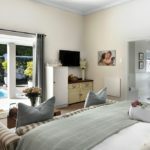 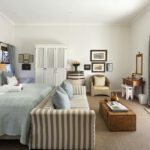 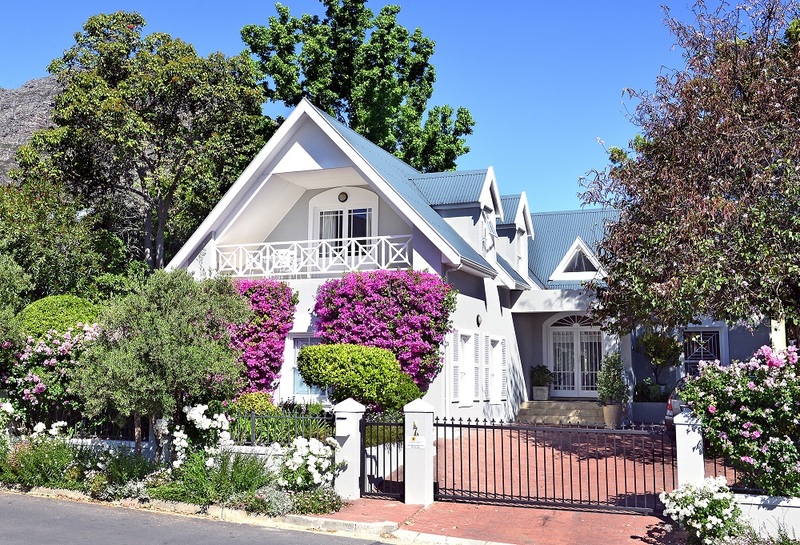 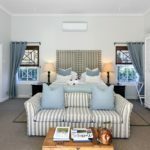 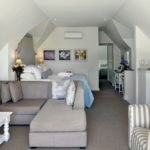 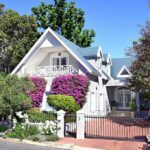 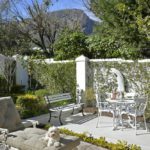 This small, family owned guesthouse offers its guests a home away from home atmosphere and the opportunity to relax in tranquil, intimate surroundings, while being an easy 5 minute stroll from Franschhoek’s famous main road, Huguenot Street, where a host of award winning restaurants, coffee shops and other delightful local shops and galleries await you. 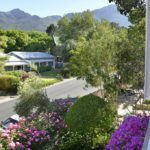 Also in close proximity is the Franschhoek monument and museum. 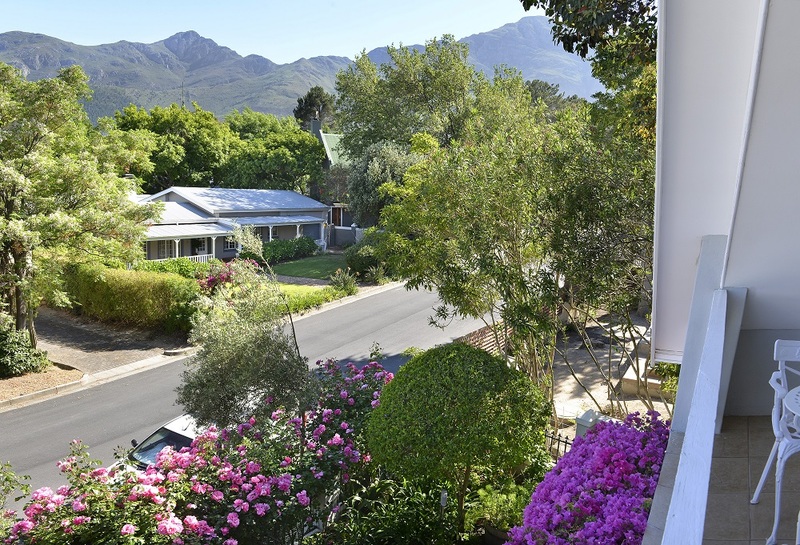 The mountains are in every direction and so are the vineyards. 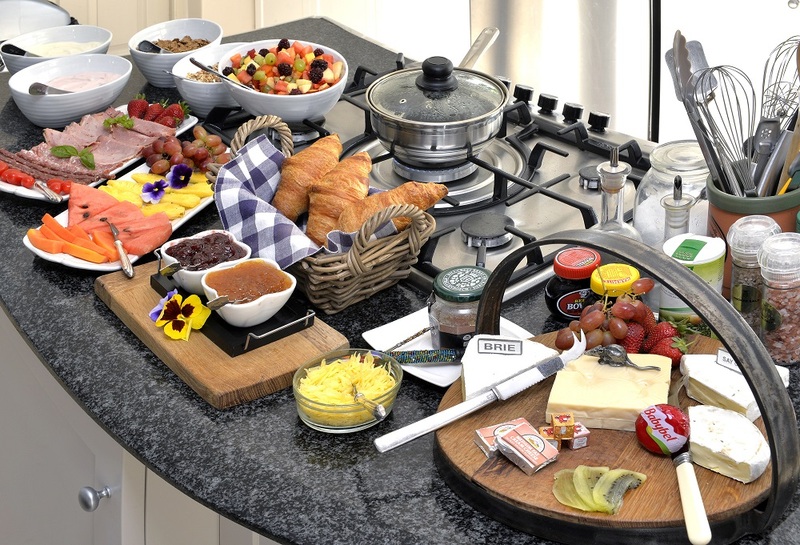 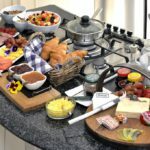 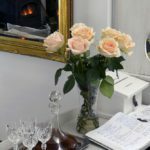 Our accommodation rates include our lovely continental breakfast which consists of seasonal fruit salad, fruit juice, breakfast cereals, muesli and yogurts, muffins, cold meat and cheese, boiled free-range farm eggs, coffee and tea. 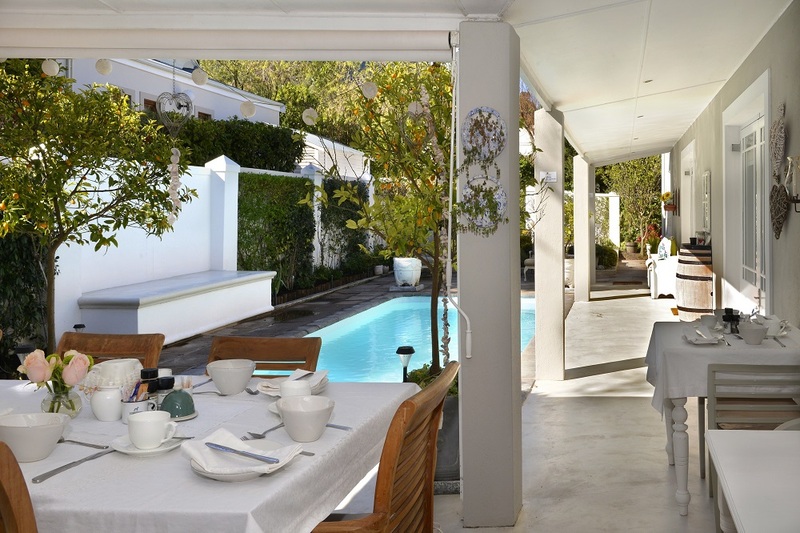 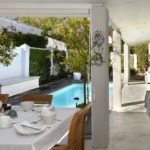 Breakfast can be enjoyed inside or around the pool, weather permitting. 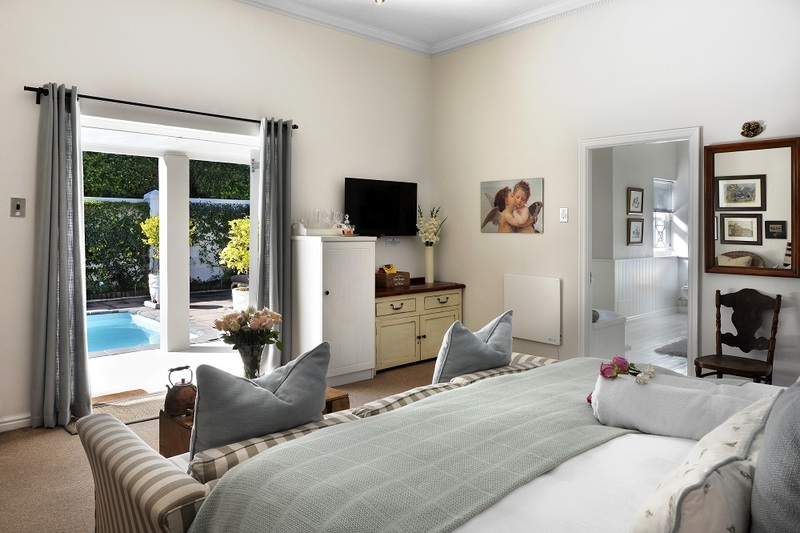 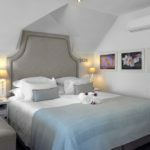 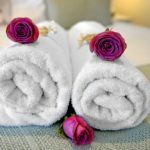 Fleur du Soleil Guesthouse offers 2 spacious en-suite bedrooms with everything you will need to make your stay comfortable.